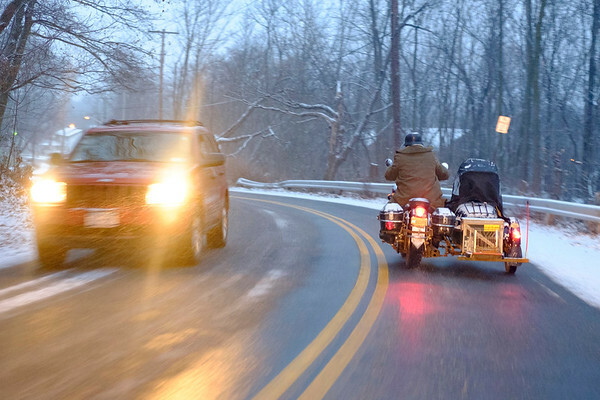 Joed Viera/Staff Photographer-Mike Evans rides his Honda Shadow through the snow. Evans has been riding his motorcycle in the winter for over a decade. According to Evans the most difficult thing about driving in the snow is "the other idiots driving in the snow...slow down, its a simple thing."